During the skiing season, subsidised shuttles connect Lourdes airport with Barèges, reservation at the Lourdes airport site is essential. Lourdes airport is less than an hour from Bareges so you can gain an extra day’s skiing! 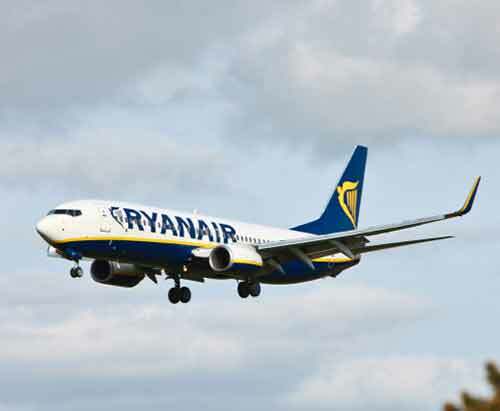 Ryanair will be flying 3 times a week into Lourdes on Saturdays, Tuesdays and Thursdays for the 2018/19 ski season, wherever possible we can be flexible with arrival / departure days. Subsidised transfers to Bareges (€20 per person) from the Ryan flights, book with Lourdes airport, contact us for details. Toulouse airport is two hours drive from the Pays Toys and has direct easyjet flights from London Gatwick and Bristol and BA flights from Heathrow. Easyjet also flies from Gatwick direct to Biarritz, which is just under two hours drive from the Pays Toy. We can provide route guides. A crossing into Northern Spain (Bilbao/Santander) gives a very easy drive to us. Otherwise a crossing to one of the more westerly Channel ports saves time. The best driving route is via Bordeaux. The A64 autoroute passes close to Lourdes. Take the Eurostar train through the Channel Tunnel to Paris from where the TGV Atlantique serves Lourdes five times daily from Montparnasse station with fantastic deals if booked two months in advance. 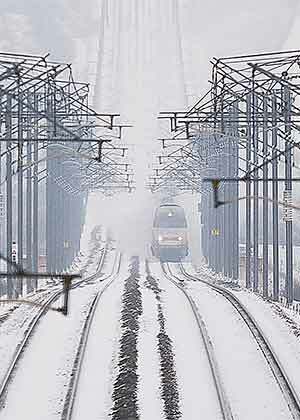 Rail Europe will send an email reminder when booking for a particular date opens. There is also a nightly sleeper “couchette” from Paris Austerlitz. There is a bus connection from Lourdes station to Luz and Barèges. London–Lourdes from around £120 return. French Railways (SNCF) offer excellent value “railrover” and family railcards. Highly recommended by all who come this way. Book online with SNCF – French railways – or call 0844 848 5848 (Weekdays 9am – 7pm, Saturday 9am – 6pm) for a booking service in English. Book your car in advance on the web with any of the main car hire operators (Hertz, Avis, Budget, Europcar etc.) to benefit from up to 50% savings on the rates available in France – from £125 per week. The major car hire companies have offices at Pau and Lourdes airports. Avis and Europcar have offices at Lourdes railway station and will leave keys for collection outside opening hours.